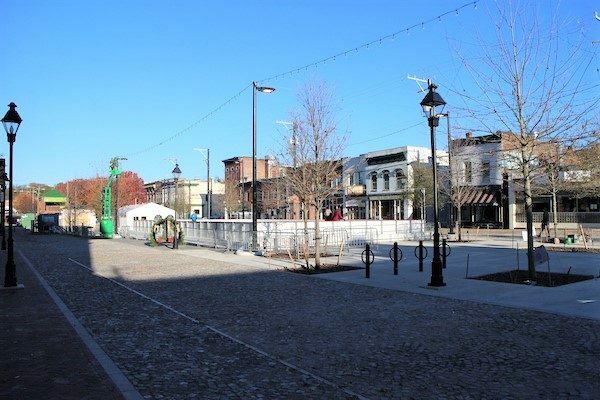 The 17th Street Farmers Market reopens today at 100 N. 17th St., with festivities including live music, an illumination of oak trees in the plaza, and an ice skating rink that serves to replace the rink that was removed from East Broad Street to make way for a parking lot. A ribbon-cutting ceremony will be held at 4:30 p.m. The market’s transformation into an open-air plaza began in July 2017. The $4.5 million city-funded project included removing decades-old stalls to make way for more open space, greenery, event space and outdoor seating for nearby restaurants. Jeannie Welliver, the project’s manager in the city’s economic development office, said the open layout will allow the plaza to accommodate more vendors at the farmers market as well as to host more events. Local nonprofit Enrichmond Foundation is managing the market. “The plaza design allows for about 70 market-day vendors,” Welliver said. Several new restaurants facing the market are set to open, including a fried chicken concept from Chris Tsui’s EAT Restaurant Partners in the former River City Diner, a pizza concept from Belmont Pizzeria owners Victor and Melinda Guevara in the former Halligan Bar and Grill, and Cafe Clang, a coffee shop at 29 N. 17th St. by Paul Keevil and Linda Lauby, who own the adjacent Lulu’s and Tio Pablo Taqueria. “The new restaurants that are coming to the farmers market confirm what this type of reinvestment into a public plaza can do for a city’s revitalization. Seeing others invest in it is wonderful,” Welliver said. Welliver said federal transportation grants were used to help connect the Virginia Capital Trail to the farmers market via bike lanes that recently were added along 17th Street. The site also is located on the recently completed GRTC Pulse bus rapid transit line. There’s still landscaping work to complete in spring 2019. Welliver said the farmers market is otherwise good to go. The market opens just a few months after another major city renovation project wrapped up. In September, Monroe Park reopened after a nearly two-year, $7 million renovation. 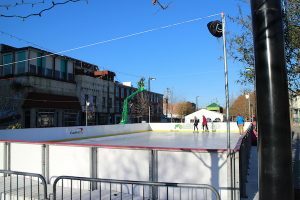 3 Comments on "Revamped farmers market reopens – ice skating included"
I look forward to checking this out, it seems like it will have a similar feel to the Charlottesville downtown mall. Was that intentional? Over budget so water feature was removed. 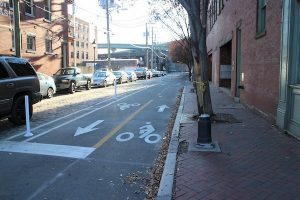 It will be interesting to see what returns in the spring as most market vendors have left for South of James or Carytown and I doubt they will come back. The few remaining local vendors have complained their new locations will kill what little business they have. I hope it does however boom.